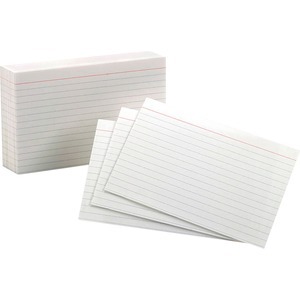 Index cards are made from top-quality commercial stock and ruled on one side for neater notes. Cards are rotary cut for uniform height. Design offers an 8 point thickness and 85 lb. basis weight. Sheet Size : 4" x 6"